There are some cases where productivity is a challenge, especially in the case where you’re being asked to work on something repetitive or monotonous. To make these tasks more bearable, automation solutions can be used. Although, depending on the purpose, they can become an integral part of your business’ productivity strategy. For the purposes of business, automation allows for certain time-consuming tasks to be effectively “removed” from everyday operations. The reason we put that in quotes is because the tasks aren’t removed, but they are handled by an automated system that doesn’t require the attention of a human worker for it to happen. We’re here to discuss some of the ways that productivity can be influenced by automation. Some organizations have a department that is dedicated to customer support. This involves helping customers with their questions and concerns. The issue here is that these professionals devote their entire workday to these tasks, which means they aren’t doing anything else, and they are wasting potentially valuable time on monotonous tasks that nobody in their right mind likes doing. To move away from these positions that provide little fulfillment for employees, A.I.-powered chatbots have been introduced to free up resources. Imagine having to send the same email to 200 clients without using a mail merge or mailing list. This is what certain monotonous tasks can feel like at times, like stuffing the same envelope for physical mailing over and over again. While the process might differ depending on the task, certain methods of automation can eliminate tasks from the workday. If these tasks are removed from people’s responsibilities, imagine the creativity and productivity that can come from it. There are some tasks out there that you don’t want users to handle simply because of the possibility that it will be handled poorly or inadequately. Some of these include data backups and security updates or monitoring. Depending on the service, a computer or software solution can be much more consistent as a whole and do it in a faster way than a human can. 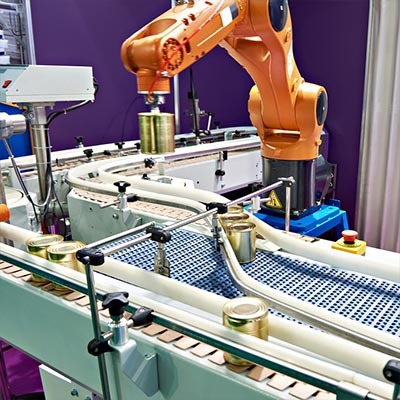 Are you ready to get started with automation services? Network Solutions Unlimited can help. To learn more, reach out to us at 217-428-6449. Frank Saulsbery is our Chief Executive Officer and President, offering our team 15 years of expertise in business operations. Frank attended Richland Community College and has former IT experience with Borden Chemical and McDonnel Douglas. In his time away from the office, Frank enjoys cars, technology and fishing. We are proud to announce the unveiling of our new website at Network Solutions Unlimited! Since our establishment in 2013, Network Solutions Unlimited has long been the go-to resource in swift and professional managed services for small and medium sized businesses in Decatur, Illinois. So we are very excited to present our new website! Learn more about what Network Solutions Unlimited can do for your business. Copyright Network Solutions Unlimited. All Rights Reserved.